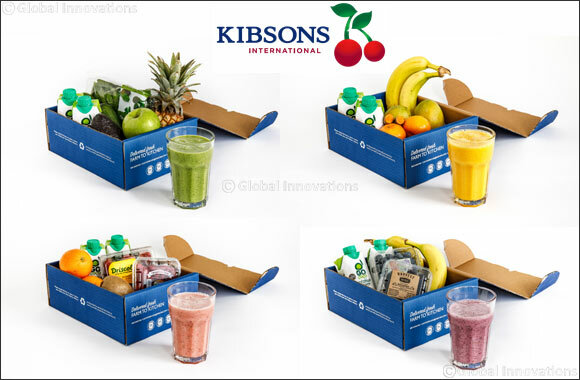 Dubai, UAE, July 03, 2018: Kibsons, the leading online home delivery service have just made getting your 5-a-day a whole lot easier with the introduction of their newly launched, great value ‘Smoothie Boxes'. Enjoy a breakfast of champions or a health filled mid-morning snack that couldn't be easier to prepare or create. Kibsons have done the hard work so you don't have to and grouped together a range of perfectly matched fruits and vegetables that work beautifully to give you a deliciously nutritious start to the day. Reaching for your convenient smoothie box each morning will fast become the norm and you can have fun trying out all of the appetising flavour variations in the process.